Maple Lawn, MD | January 9, 2019 Offit Kurman is pleased to announce the appointment of several new Practice Group Leaders and Practice Group Directors. The changes in leadership and management result from Offit Kurman’s recent expansions and prepare the firm for continued growth in 2019 [Read Here]. The new position of Practice Group Director designates individuals who oversee and manage resources for the firm’s practice groups. Offit Kurman has selected attorneys Linda Ostovitz, Douglas Kay, Russell Berger, and Edward Bloom as Practice Group Directors. Each Practice Group Director is in charge of a grouping of practice groups. Every practice group will continue to have its own Practice Group Leader, who will now report to the corresponding Practice Group Director. Practice Group Leaders are tasked with providing legal leadership, management, marketing, and client satisfaction strategies within their respective practice groups. New Practice Group Leaders include Ian P. Bartman (Commercial Litigation – South), Nathan Fox (Real Estate), Zachary C. Glaser (Labor and Employment), Diane S. Kotkin (Estates and Trusts), and Catherine H. McQueen (Family Law – South). More information about each Practice Group Director and Practice Group Leader’s roles and responsibilities can be found below. An asterisk (*) identifies an individual new to the position. Landlord Representation: William P. Cannon, III. 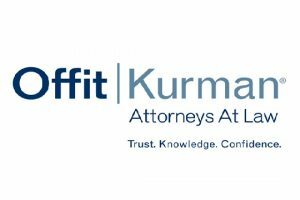 For a full list of Offit Kurman’s attorneys, as well as information about the firm’s comprehensive legal services and locations throughout the Mid-Atlantic, visit offitkurman.com.